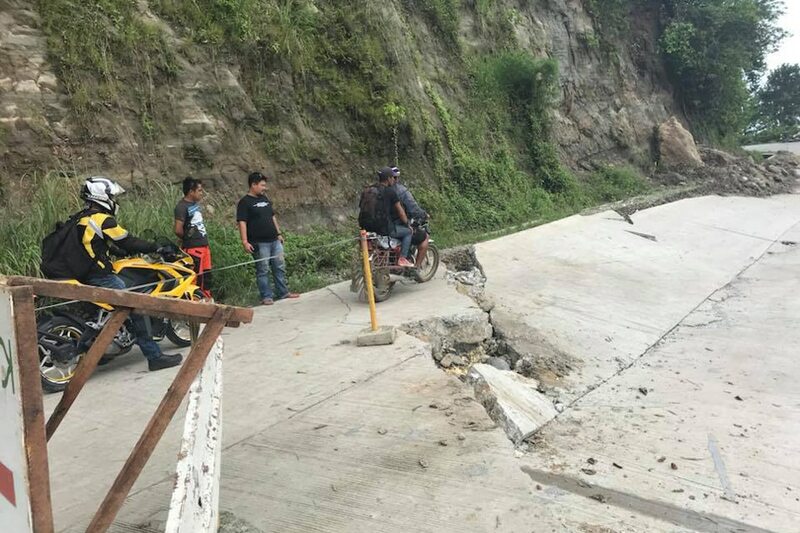 This photo shows damaged portions of a major road after 3 landslides hit Calatrava town in Negros Occidental province. 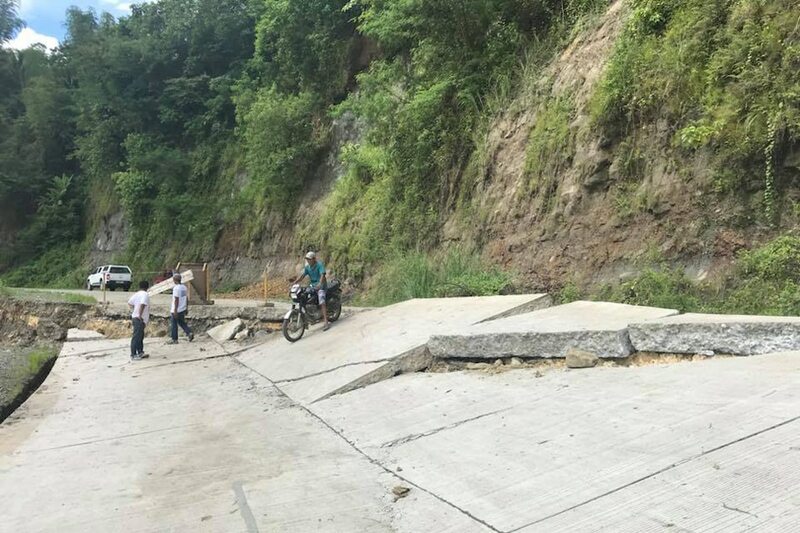 CALATRAVA, Negros Occidental - Three landslides struck this town during the onslaught of Tropical Storm Agaton, rendering a major road impassable on Wednesday. 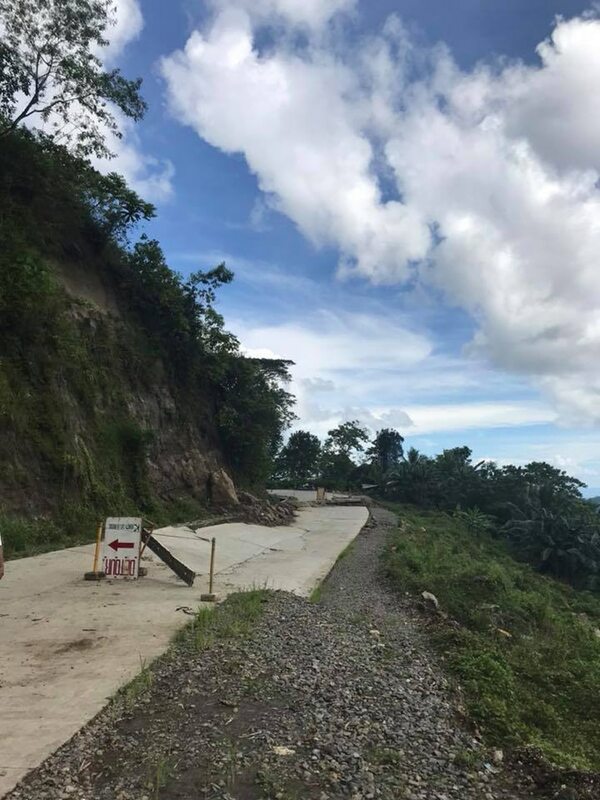 Parts of the 55-meter road connecting barangays Ani-e and Lagaan cracked after rains washed away the soil under its foundation, said Ray Sumingit, head of the town's disaster office. The road was impassable to 4-wheeled vehicles on Wednesday. 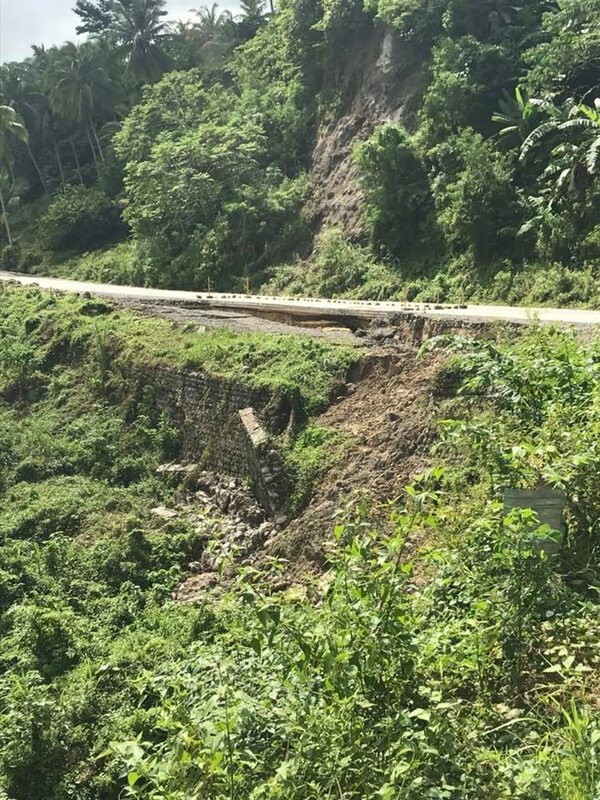 Landslides were also recorded along the highway in the villages of San Benito and Castillanos. No one was reported injured in the incidents. Agaton left the Philippine Area of Responsibility on Wednesday. 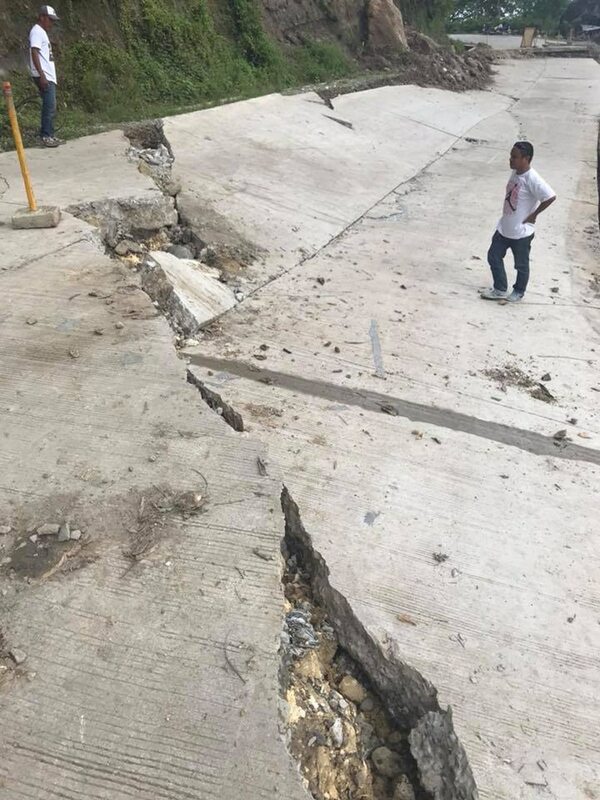 The local government submitted a damage report to the Department of Public Works and Highways to start repairs on the damaged roads.